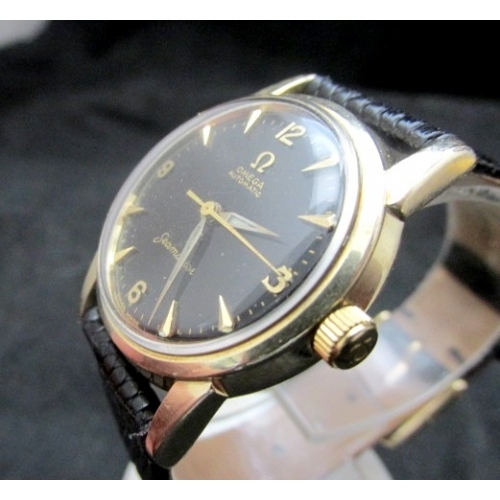 Super condition on this Omega "Seamaster" produced in 1960. 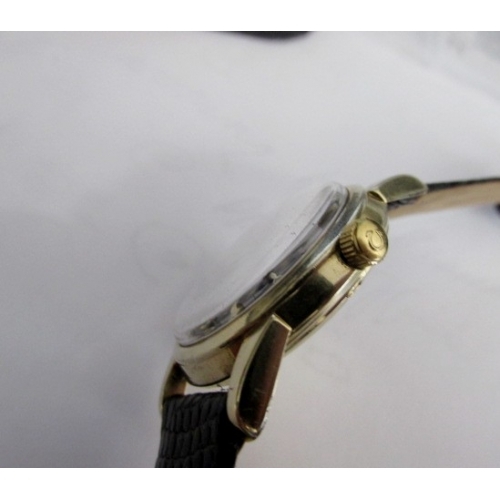 Case is gold filled and measures 31.2mm x 38 mm with presentation back and original Omega factory crown. 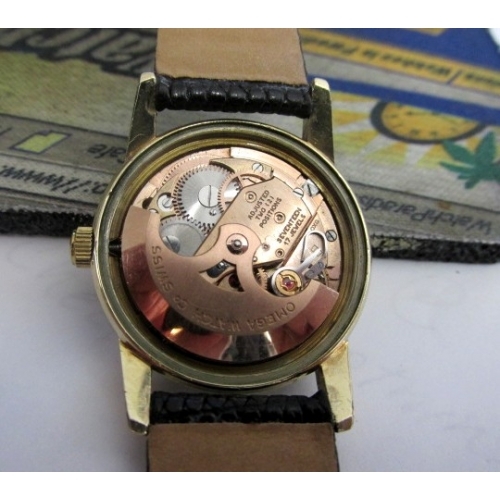 Movement is automatic, 17 jewels, 2 adjustments caliber 570 which looks brand new, just serviced and running perfect. 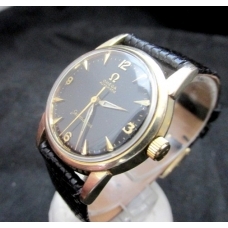 Dial is black with gold markers, matching factory hands and in mint condition. 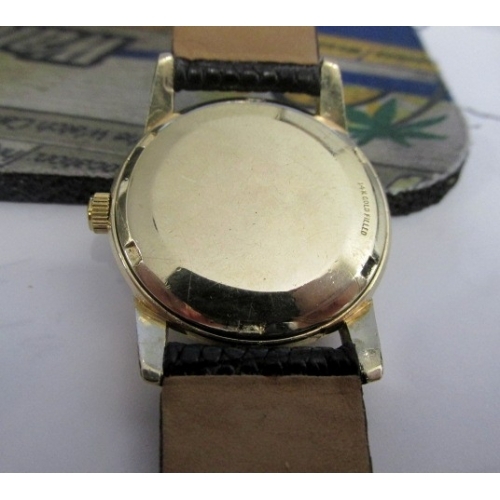 Comes with new padded strap ..ready to go! 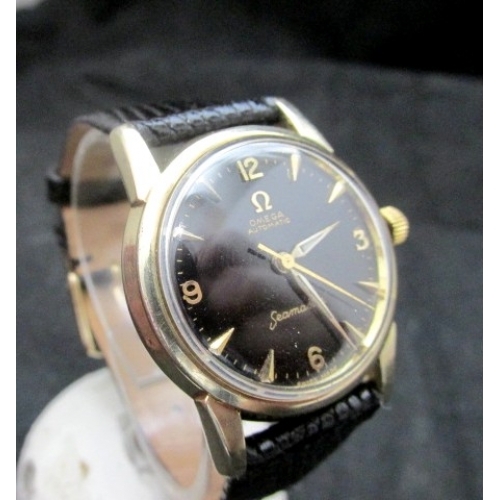 Outstanding condition on this vintage 1960 Omega....ready to go!